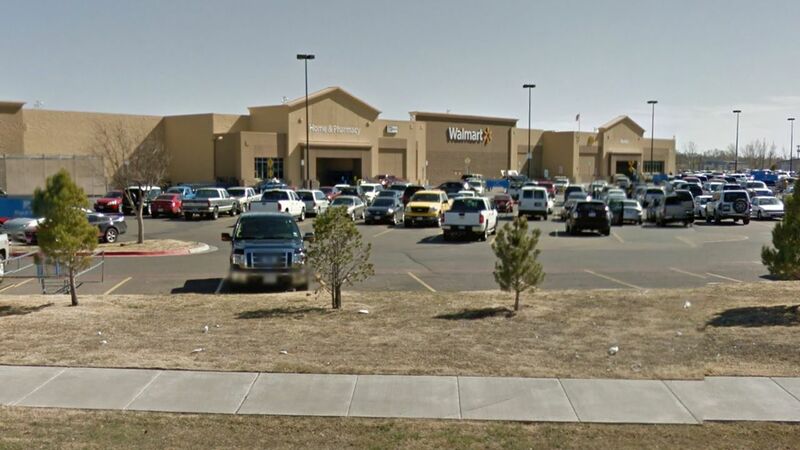 AMARILLO, Texas -- A suspect has been shot and "is apparently dead" after officers responded Tuesday to a reported shooting inside a Wal-Mart store in Amarillo, Texas, police said. The Amarillo Police Department released a brief statement saying hostages inside the store were safe and described the incident as a "workplace violence event." No details were immediately provided about the suspect or what may have prompted the incident, but police urged residents to avoid the area. Police said officers responded to the scene amid reports late Tuesday morning that an armed person was at the store and may have had hostages. Police later said officers had made their way inside the store and that a police SWAT crew shot the suspect. Police said there was "no shooting ongoing at this moment." The city of Amarillo released a statement also saying emergency officials were on the scene of an "active shooter incident." The city said there was no immediate word of injuries. Authorities said the investigation was ongoing in Amarillo, a city in the Texas Panhandle. Some nearby streets were closed as a precaution during the incident, including an off ramp to Interstate 27.